This powerpoint presentation from UC Master Gardeners of Sonoma County covers how wildfires effect soil, soil regeneration and tips for dealing with toxic soil. Although this guide was originally developed for the Wine County fires in 2017, the advice can be applied to landscape recovery in the Camp fire area. The guide includes frequently asked questions, dos and don’ts, care and recovery, erosion control, fire preparedness, seeding, helpful decision trees, and more. A link to the CNPS Fire Recovery Guide will be provided via email after the completion of a brief form. A preliminary report put together by the citizen science initiative of Sonoma County that contains information about the contaminants of produce and soil following the Sonoma Fire. Although fire-resistant plants are not fireproof, some plants are more fire-resistant than others. This Real Dirt article talks about characteristics and examples. The job of protecting your home from fire is never done. This Real Dirt article covers ongoing and annual jobs that need to be done. Put together by the Sonoma County Master Gardeners after the 2017 fire, this site contains "how to" articles on defensible space, Red Flag Warning Days, watering, best mulches, and fire prevention yardcare. Also included are ongoing articles on a variety of firewise issues. 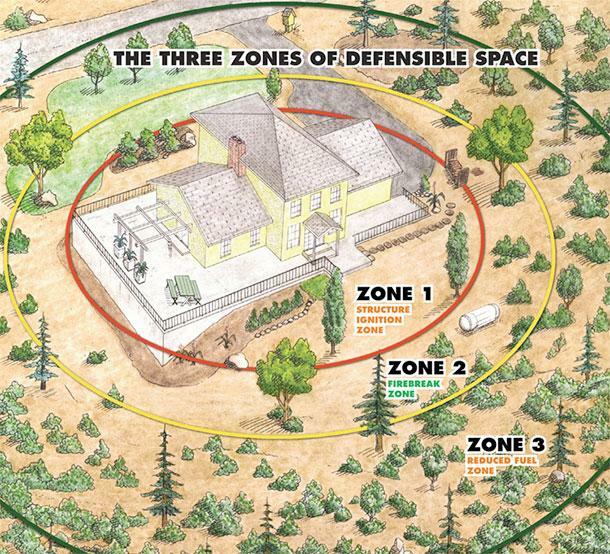 A comprehensive, yet easy-to-understand source of information on defensible space planning and practices created by the Napa Communities Firewise Foundation. Contains information about preparing for fire, fire recovery, the location of current fires, and Evacuation plans. Created by the Forestry, Fire and Natural Resources Advisor for Sutter, Yuba, Butte and Nevada Counties. Provides useful information before, after and during a fire. A helpful Wildfire Home Assessment & Checklist is provided along with other firewise tips. Developed by University of California Cooperative Extension, this site includes fire news, fire science, preparation for fire, what to do during a fire, and fire recovery. A way to contact a UC Fire Expert with questions is also provided. Covers news, information, and regulations concerning home-owners and fire safety preparation. Informative videos and fire situation reports at Cal Fire's YouTube channel.